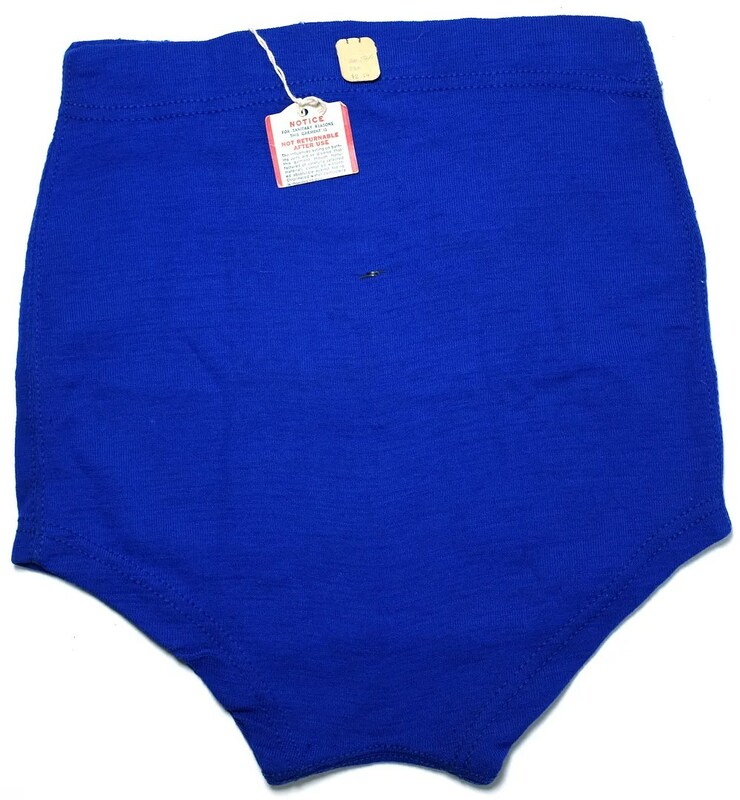 This vintage swimsuit was made in the late 1940s. 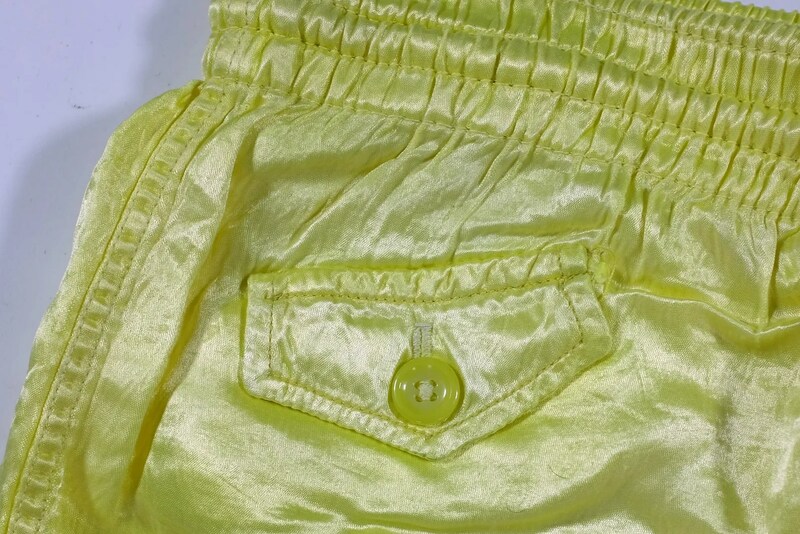 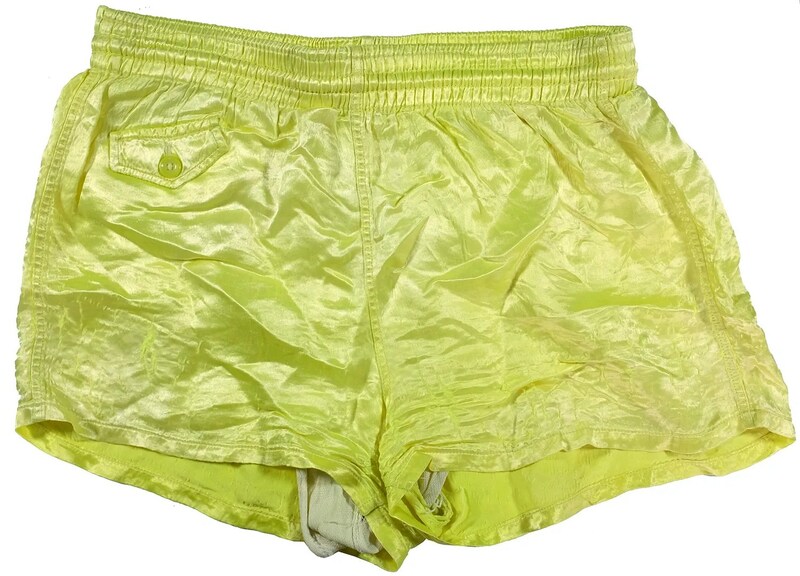 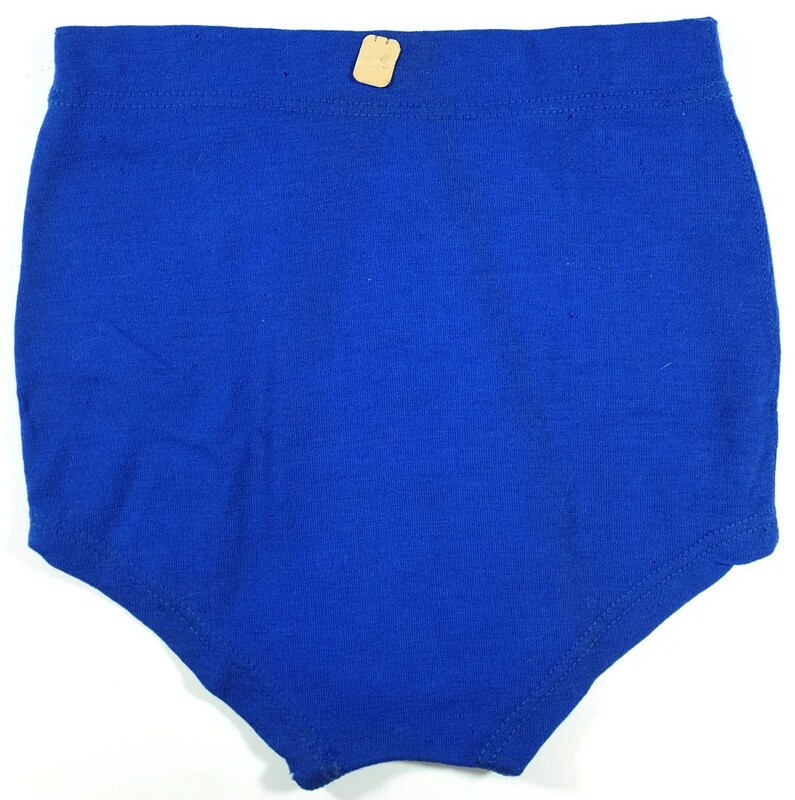 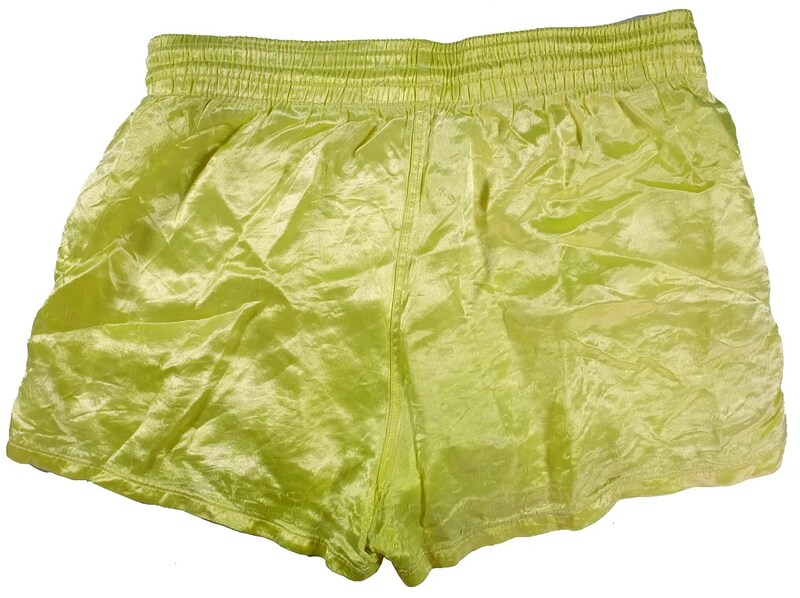 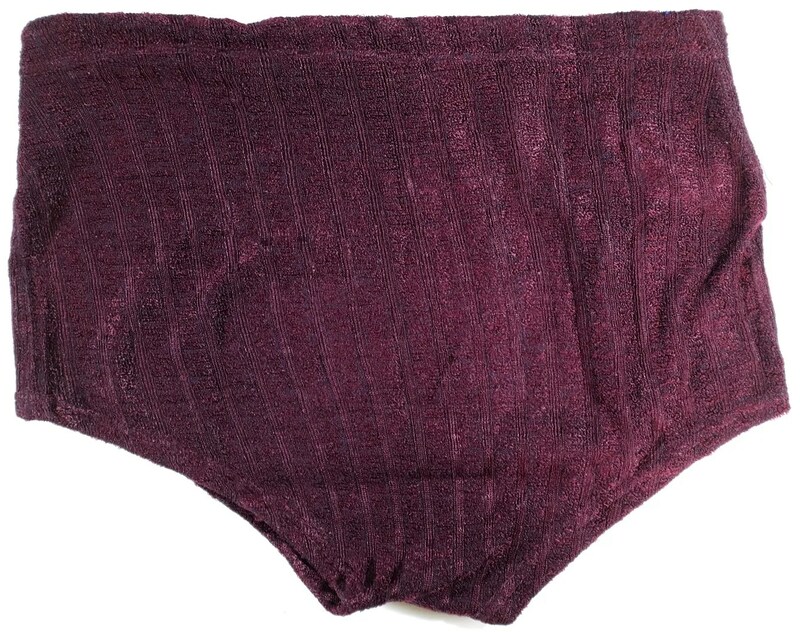 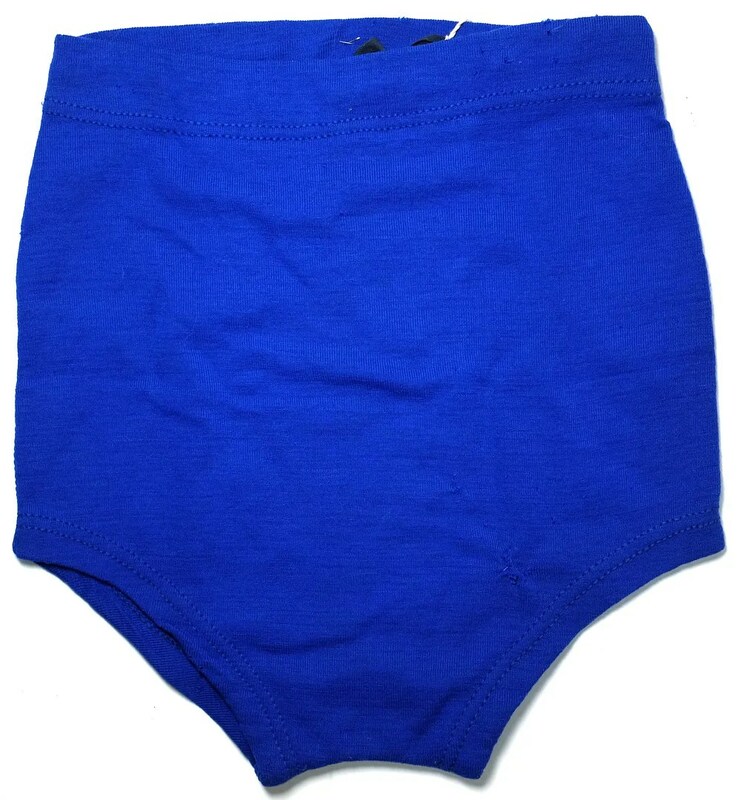 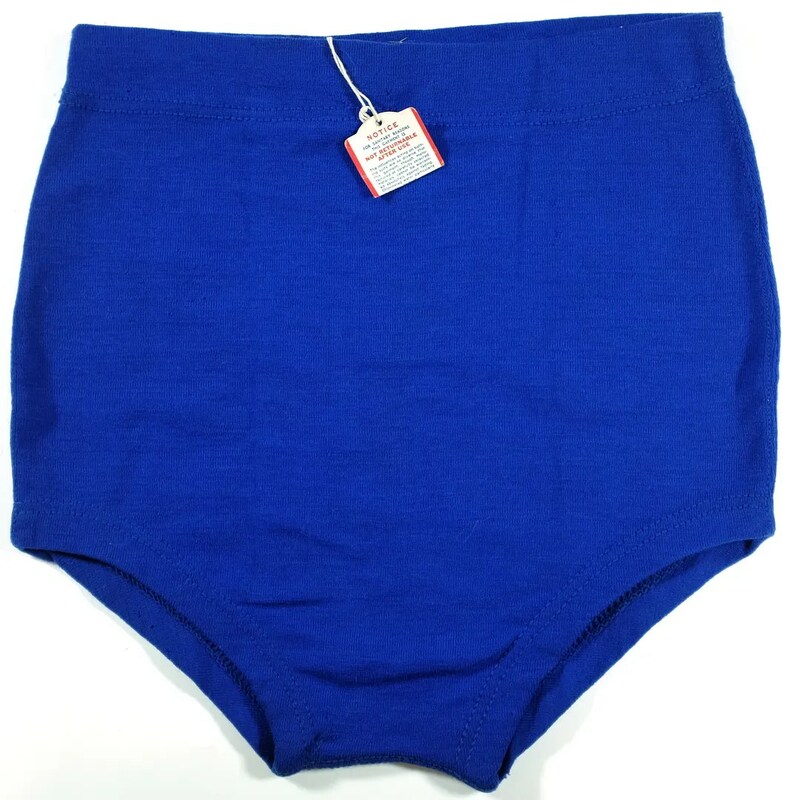 These day-glo trunks enjoyed brief popularity around 1947-1949. 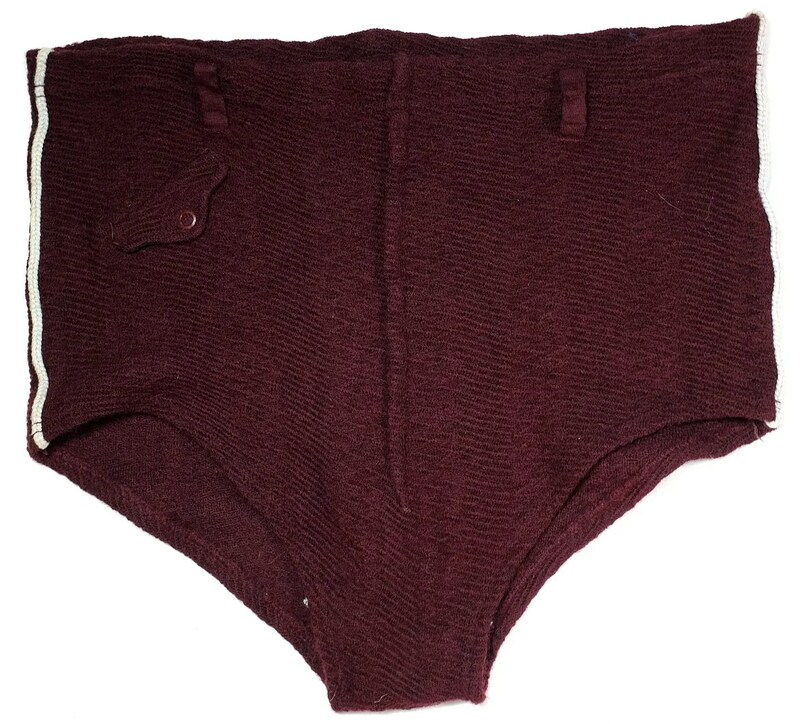 This vintage swimsuit was made in the late 1930s. 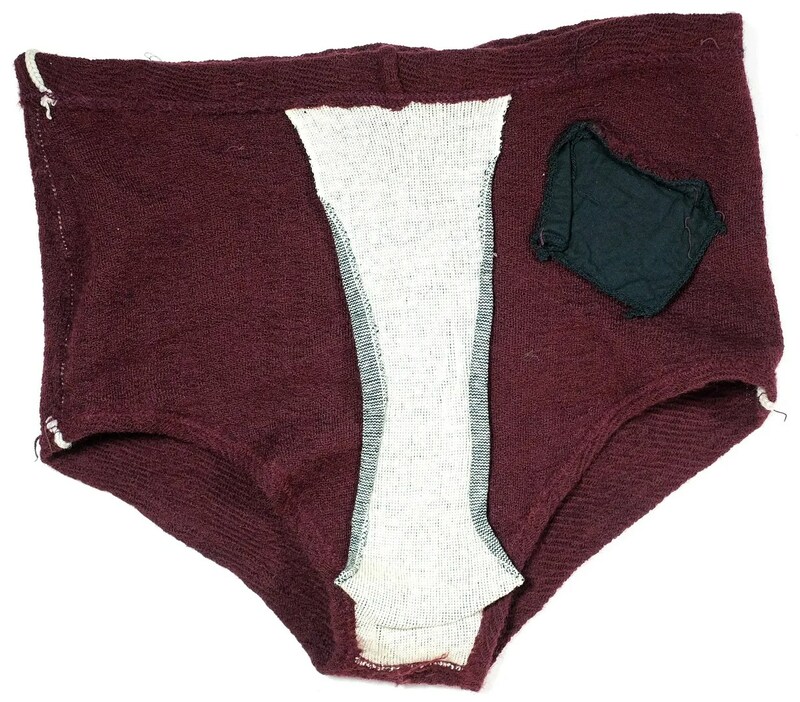 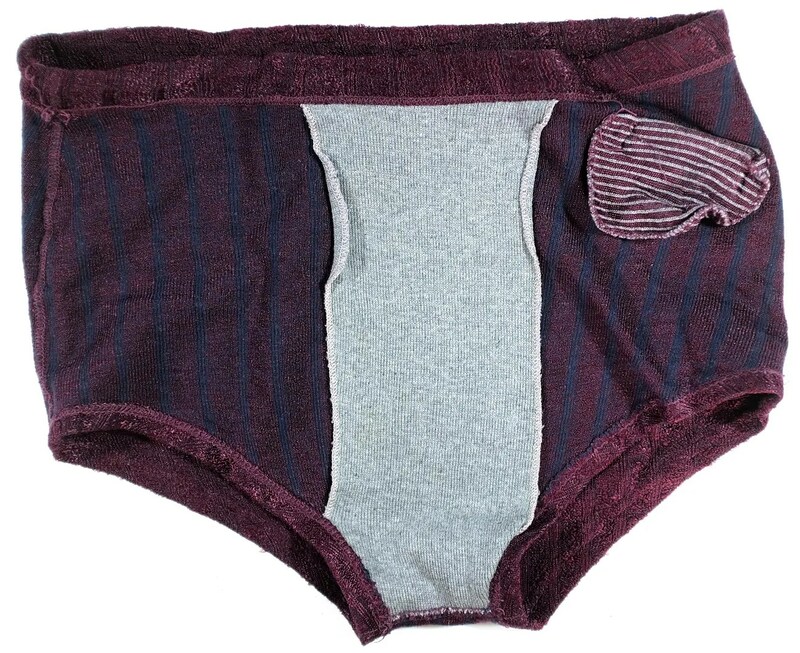 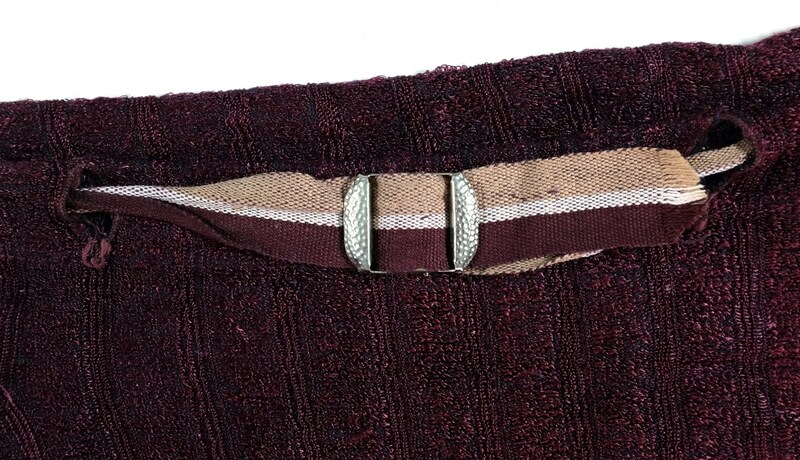 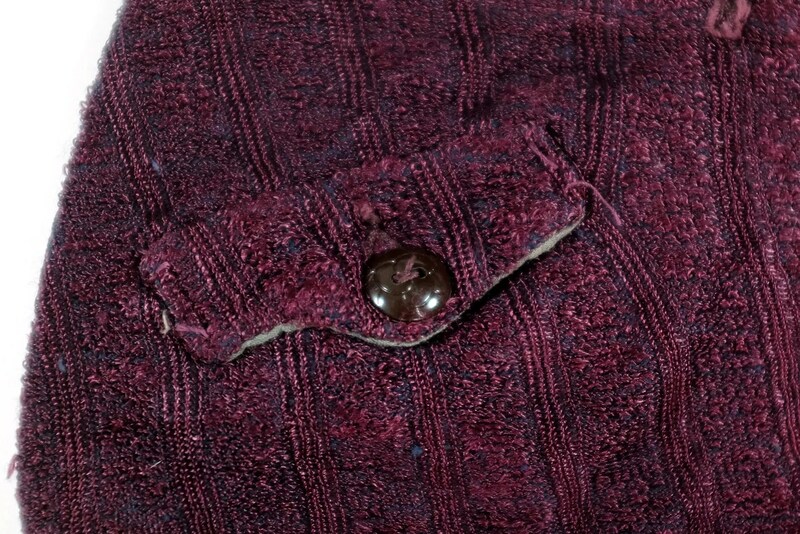 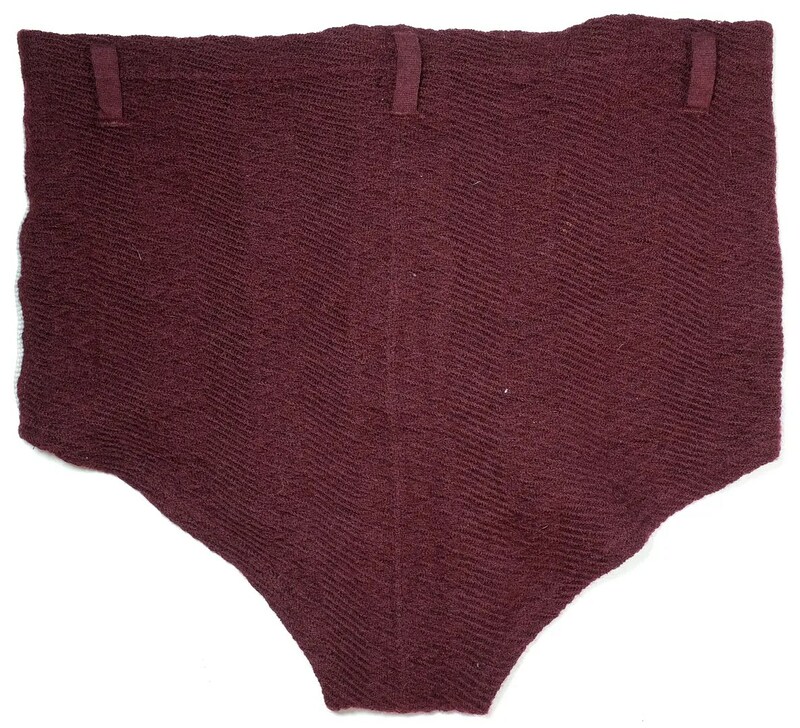 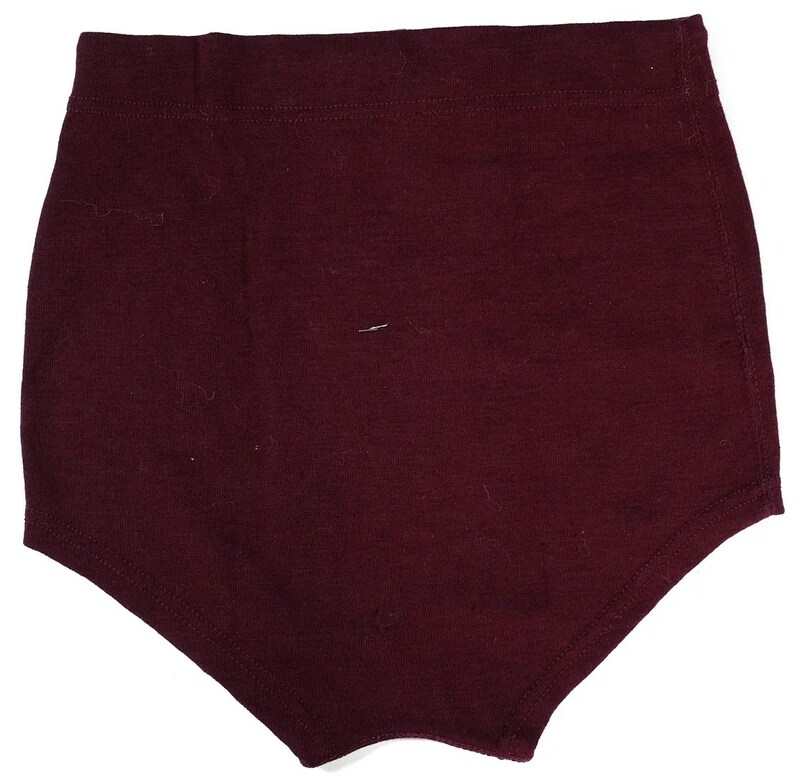 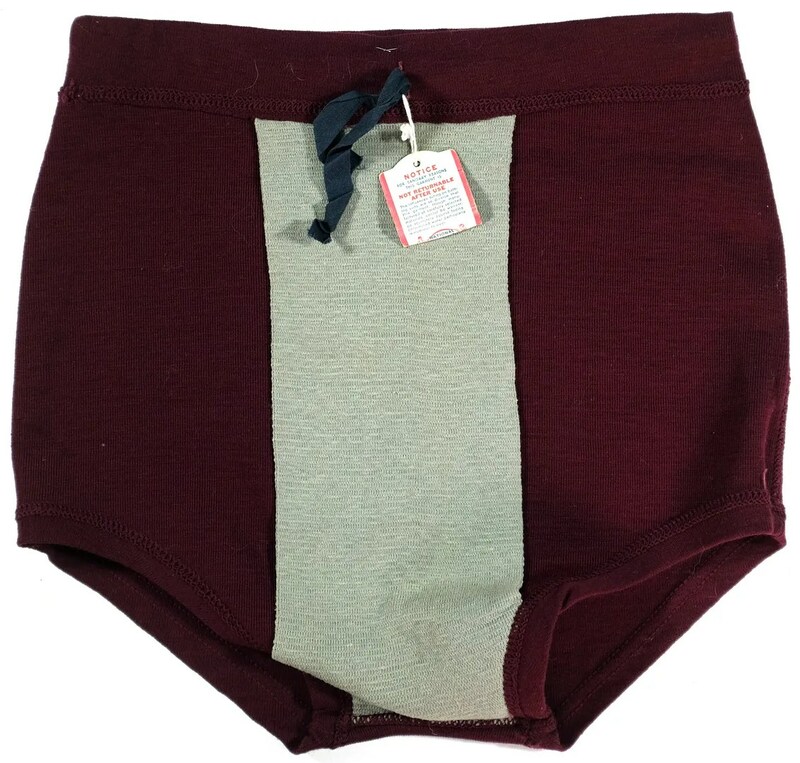 It is made of burgundy wool with belt loops and side piping. 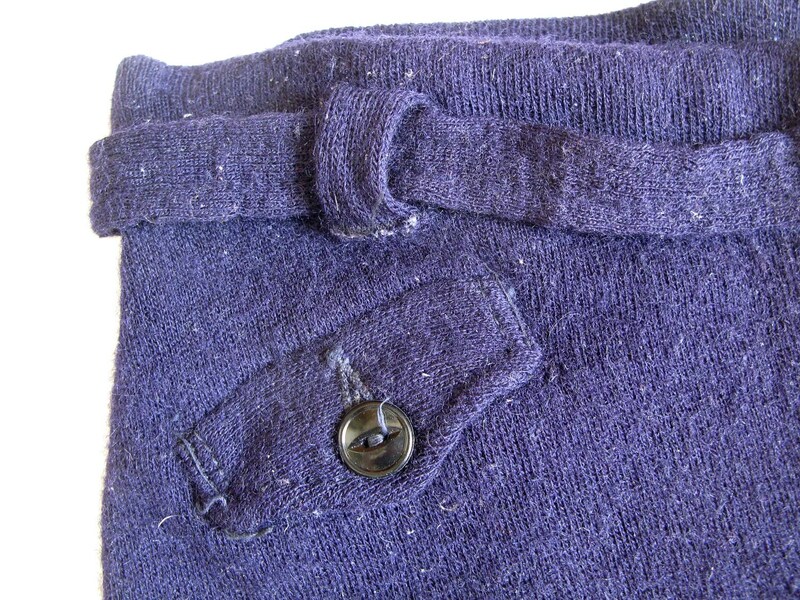 It has a false fly seam, snapped coin/key pocket and built in supporter. 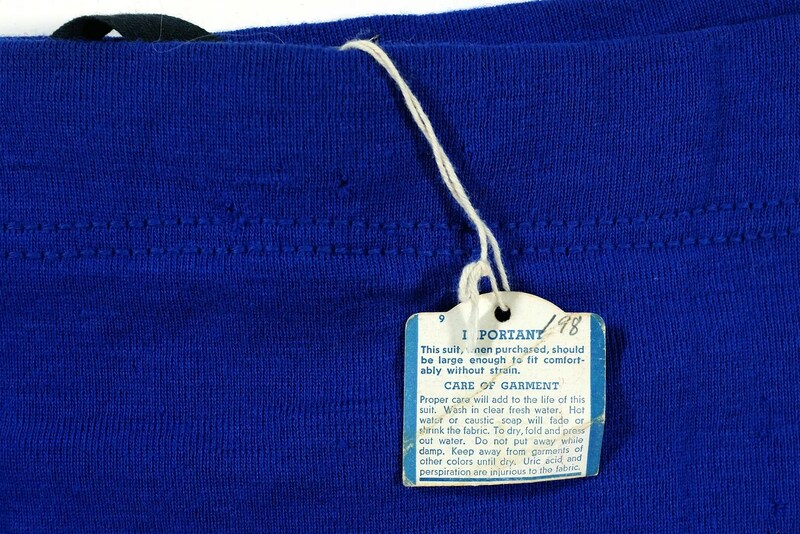 This vintage bathing suit was made in the 1940s. 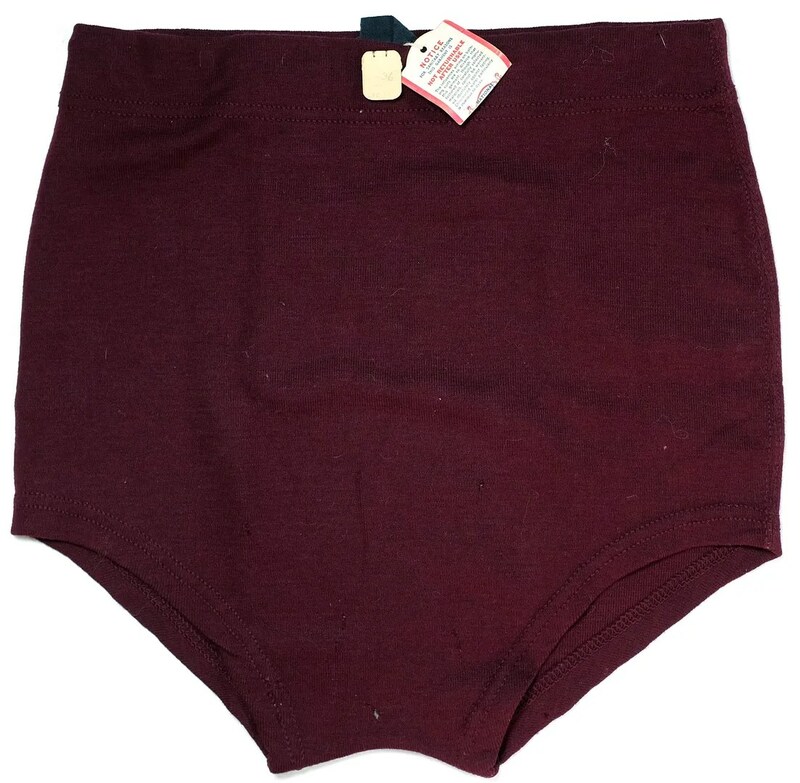 It is made of burgundy wool with a drawstring waistband, considered sleeker and sportier at the time than the belted models. 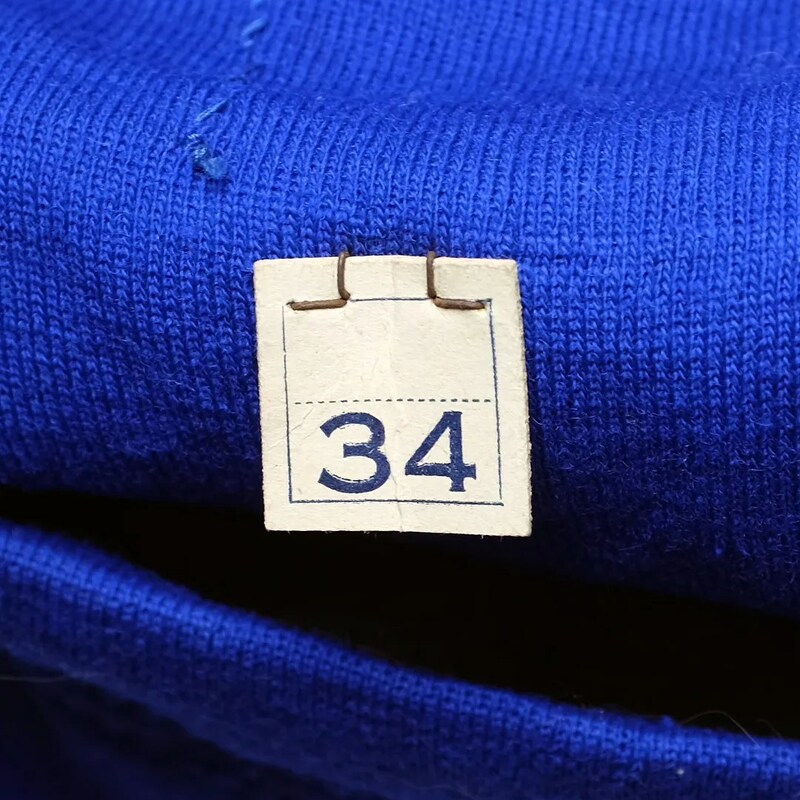 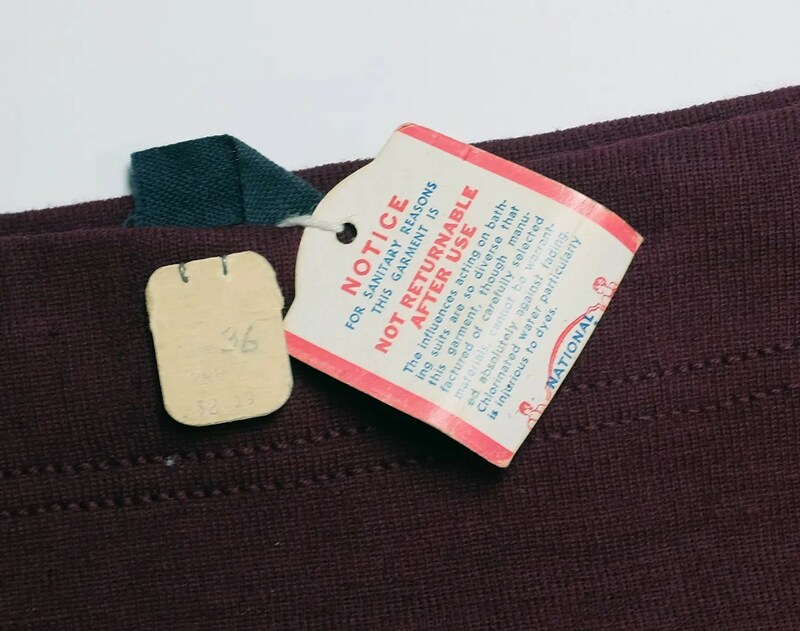 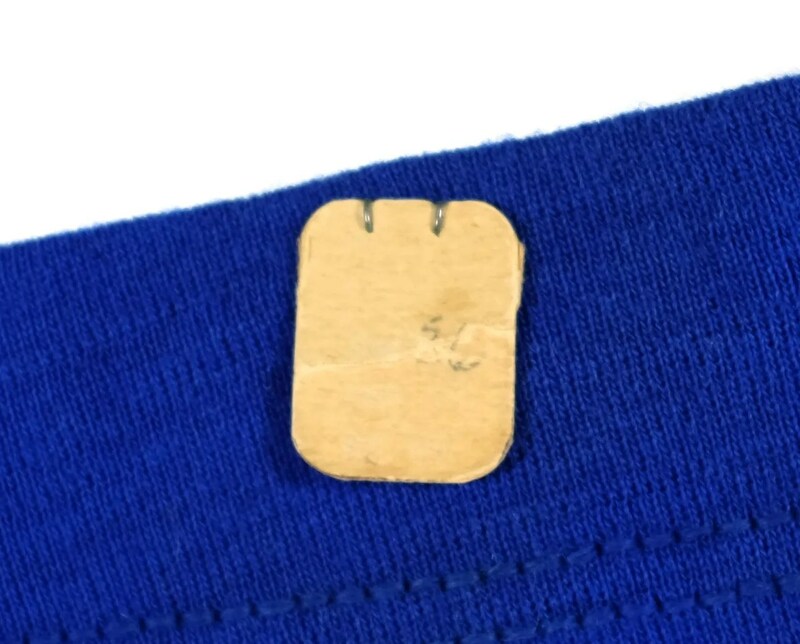 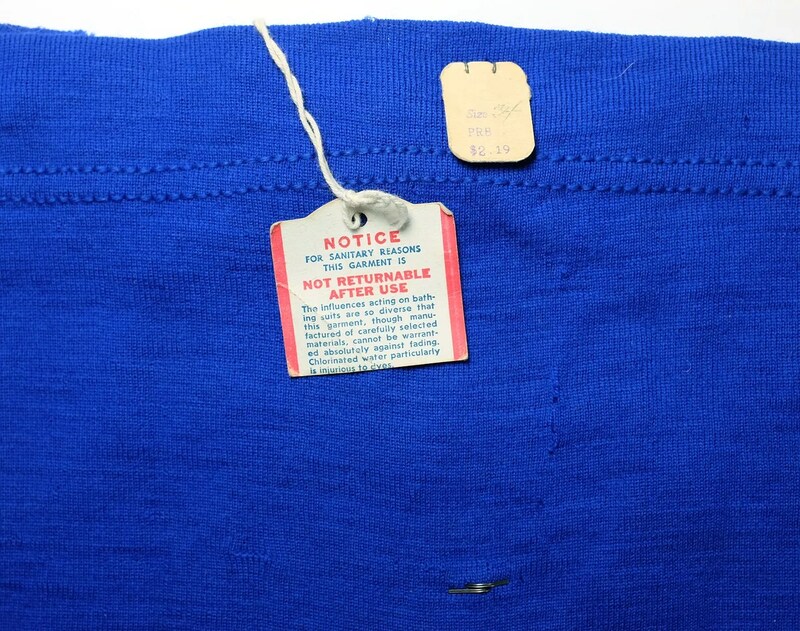 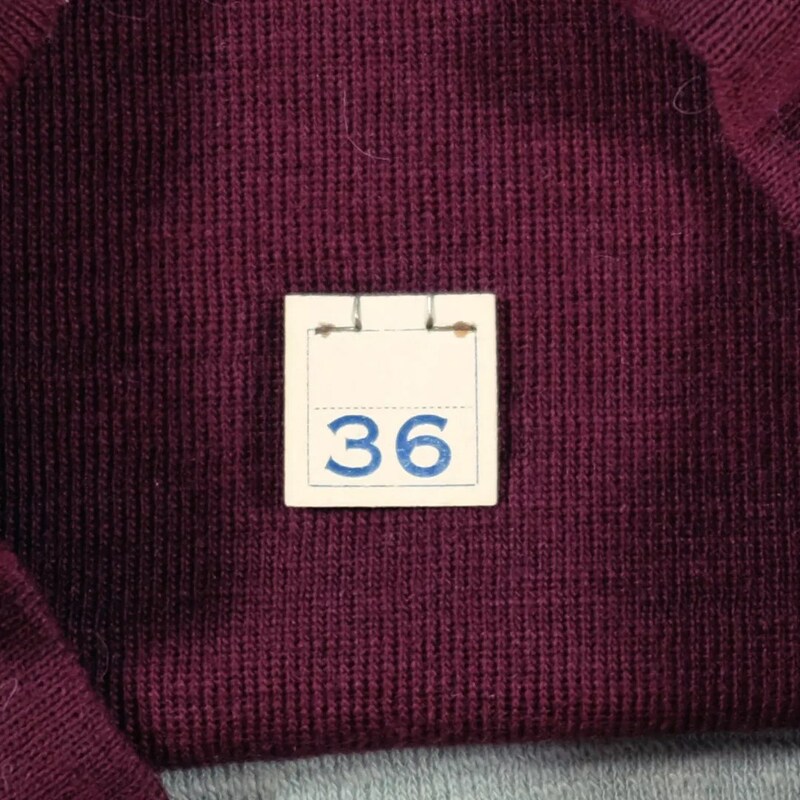 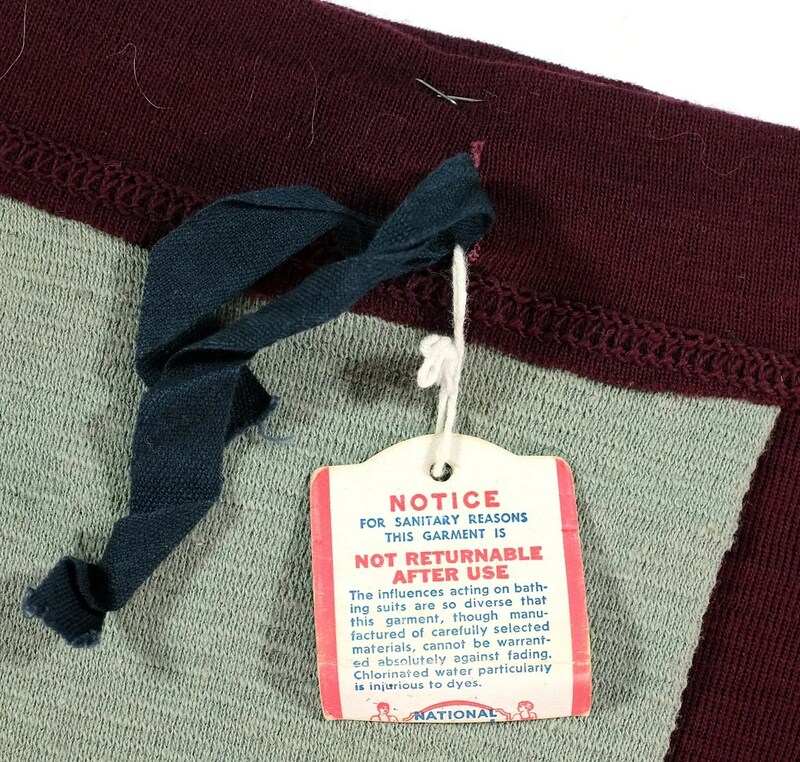 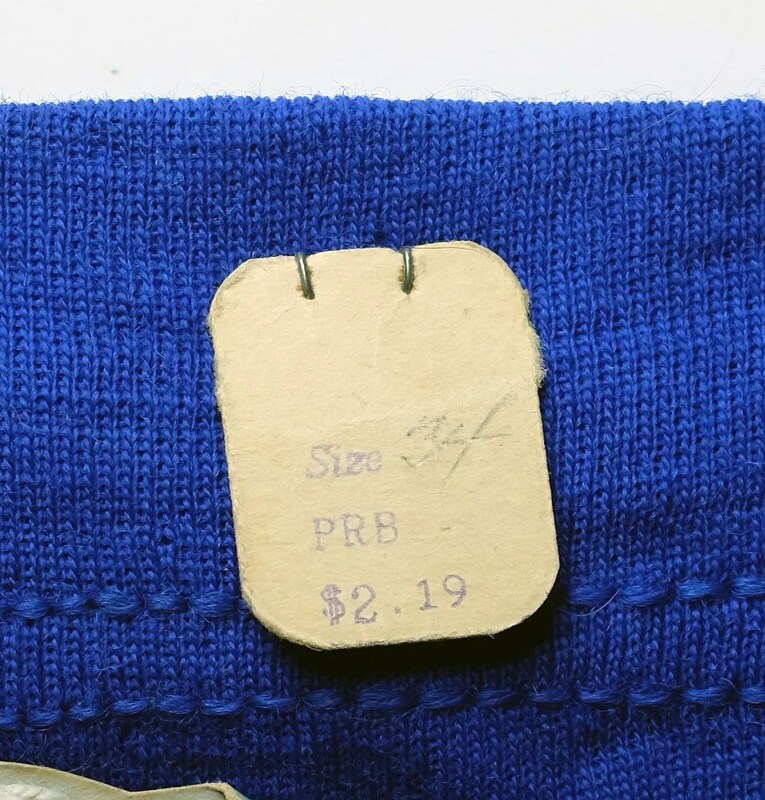 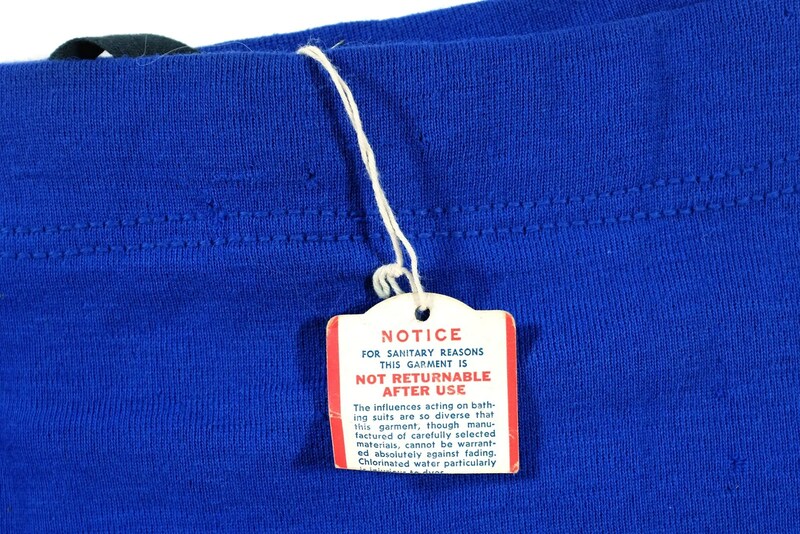 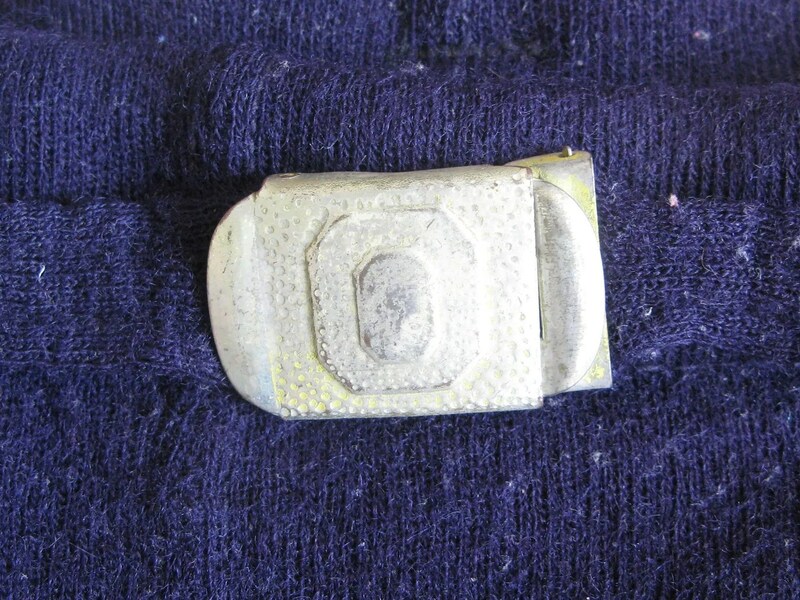 It still has the original size tag and care tags attached to the suit. 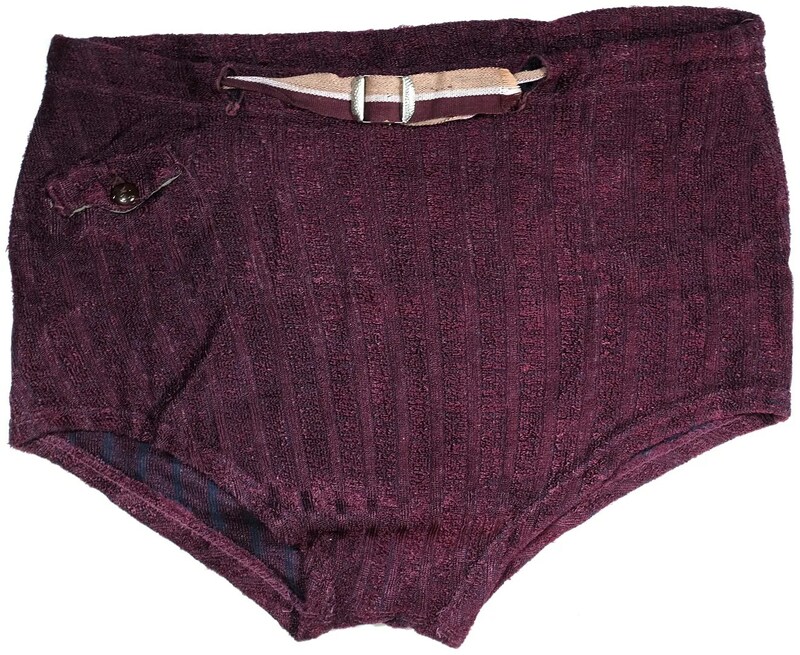 This vintage bathing suit was made in the 1940s. 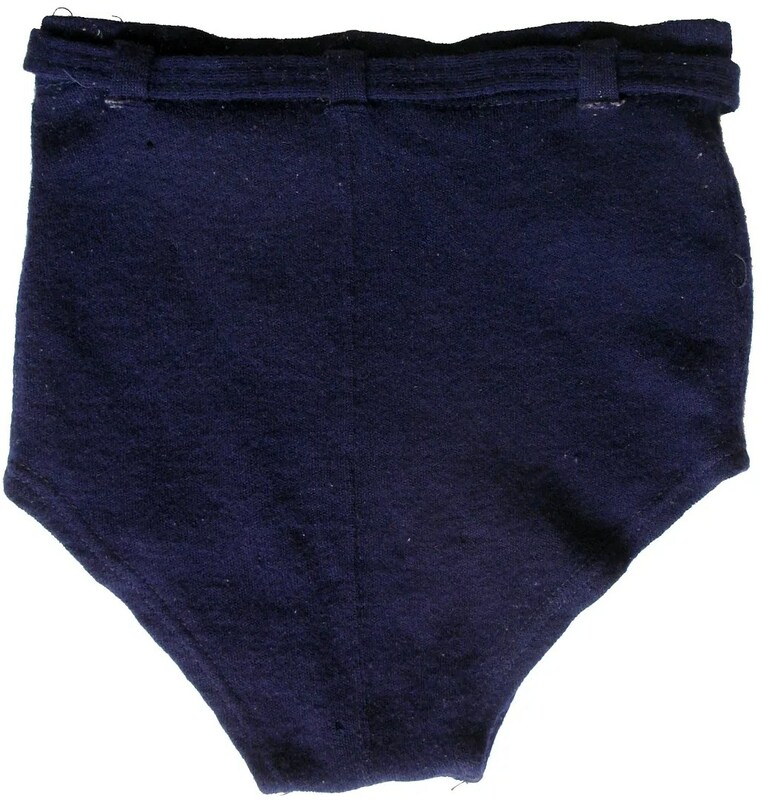 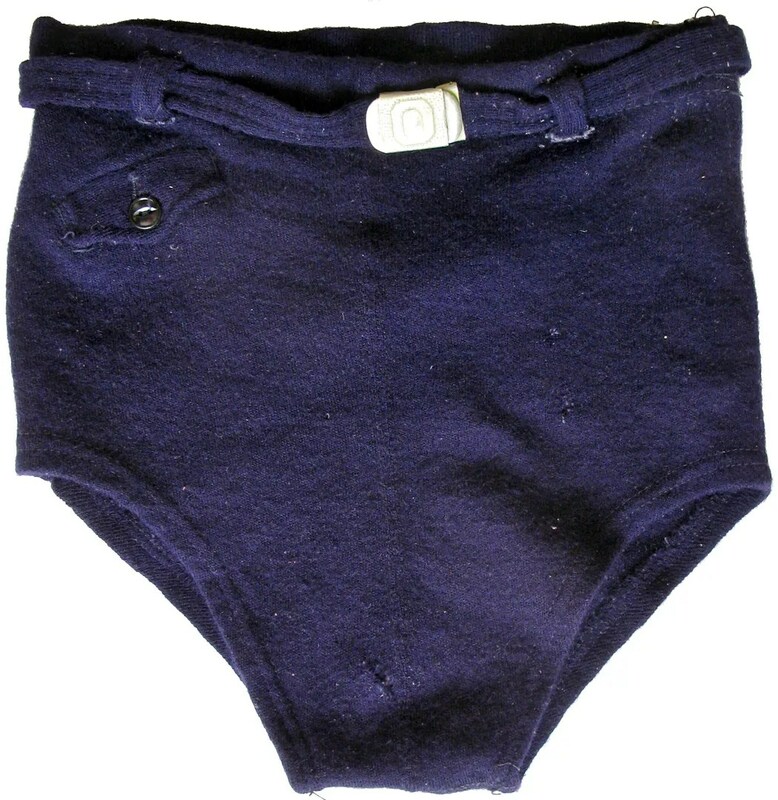 It is made of blue wool with a drawstring waistband, considered sleeker and sportier at the time than the belted models. 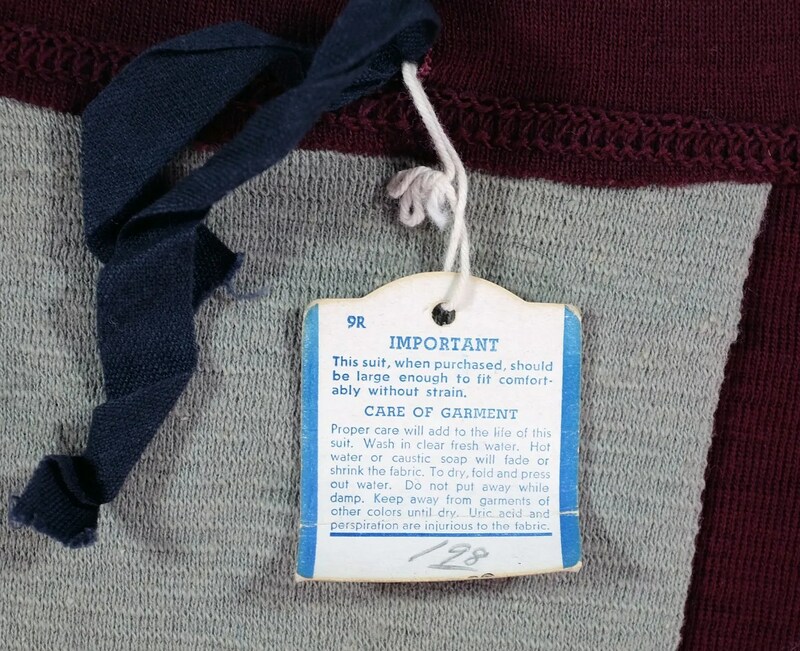 It still has the original size tag and care tags attached to the suit.